Coupons valid until June 20, 2019. May redeem multiple coupons per person. Valid for men and women. Open Monday to Friday from 9 AM till 6 PM & Saturday from 9 AM till 1 PM. Reservation required on 01 362 720 or 76 777 068, quote Gosawa coupon. Coupons must be printed. No carry over. VAT included in price. Standard terms & conditions apply. Massage is a perfect elixir for good health, it provides an integration of body and mind! 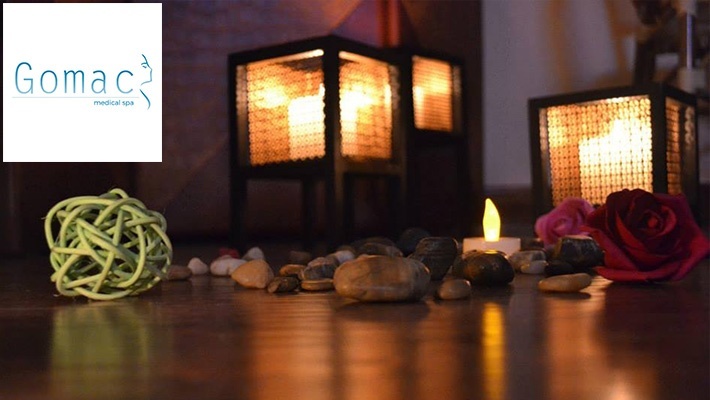 Benefit from 50% off a 1-Hour Full Body Relaxing Oil Massage at Gomac, only $30 instead of $60. Provide your body with the emotional and spiritual balance it needs! Gomac Medical Center provides services from face lifting to body sculpturing, massage and hair removal, all accomplished with the latest technology and medically supervised by trained and professional specialists. Feel young, pretty and refreshed in less than an hour! The Gomac team has developed a broad range of treatments which can be adapted to every patient's needs and desires. Their highly skilled professional therapists will ensure you feel thoroughly spoilt from the moment you step in.